Klong Nin beach has a friendly village vibe, an easily accessible strip of beach bars and restaurants and some of the finest Ko Lanta villas to rent. Klong Nin Beach boasts a friendly village-like atmosphere and a sizeable white sand beach. The beach road is lined with restaurants and bars, with the road at the back and the beach at the front – it’s vert easy to get around. There are also some fantastic beachfront villas and apartments to rent in Klong Nin, some seconds away from walking into the sea. In terms of access to amenities, Klong Nin Beach is probably the most convenient place to stay on Ko Lanta. 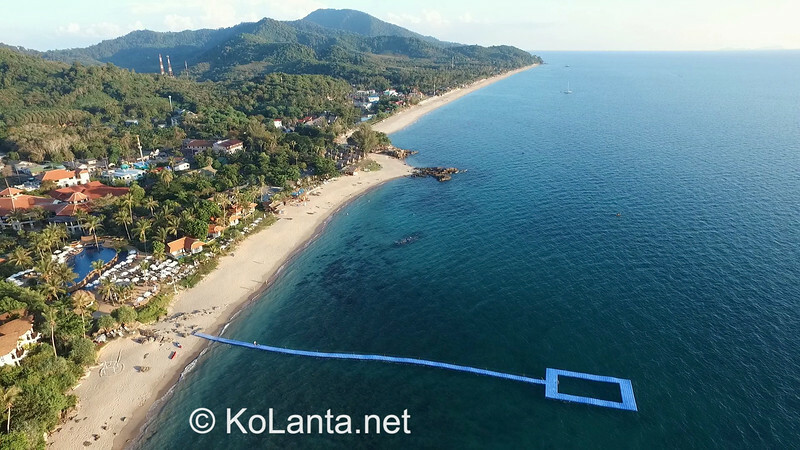 In our 20 second drone video of Klong Nin beach, you can see just how big and empty it is, with the strip of beach bars further towards the centre of the beach. 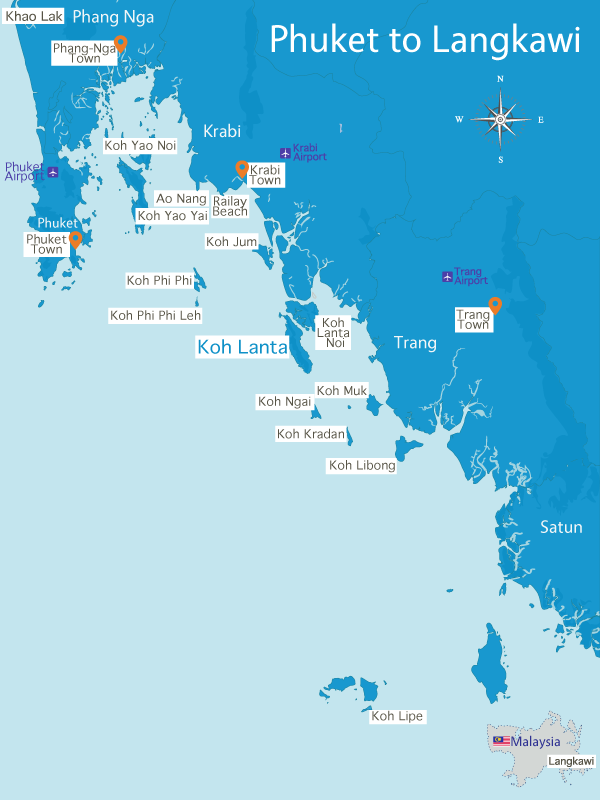 Some of Ko Lanta’s best villas for rent are around Klong Nin – follow the links for more info. If you’re a family or a group of friends, a villa could work out as a lot more affordable than a hotel – with more privacy and room to yourself too. Be sure to book as far ahead as possible – most Ko Lanta villas are sold out months in advance, particularly during the peak season of December and January. There are plenty of great restaurants and cafes on Klong Nin beach – here’s our Top 10, with links to TripAdvisor.com so you can get more info and read reviews from other customers. 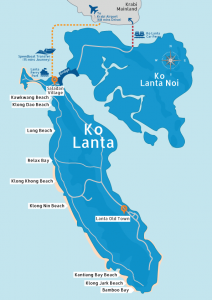 Where Is Klong Nin Beach Located On Ko Lanta? Klong Nin is located in the centre of Koh Lanta’s east coast, the fifth beach down from Saladan Village in the north where almost all visitors arrive on Koh Lanta. It’s a 20 to 30 minute drive from Saladan to Klong Nin.